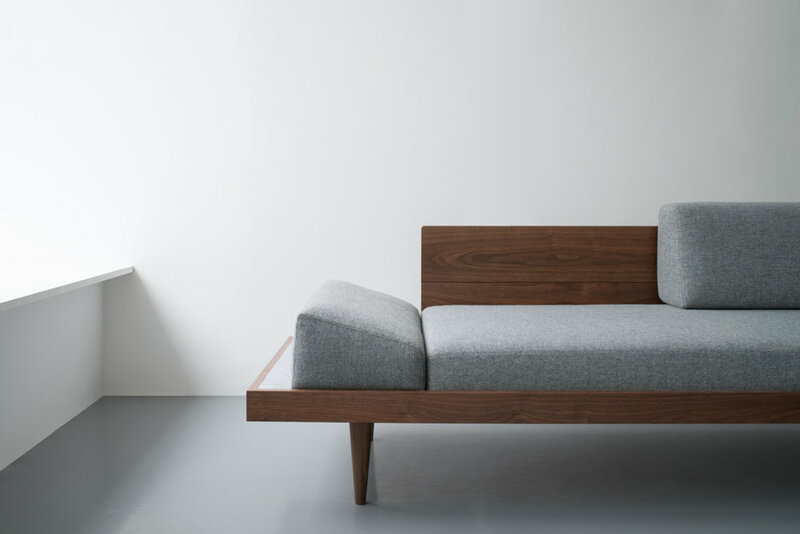 This daybed was designed in collaboration with design studio Instrmnt for their flagship store in Glasgow. 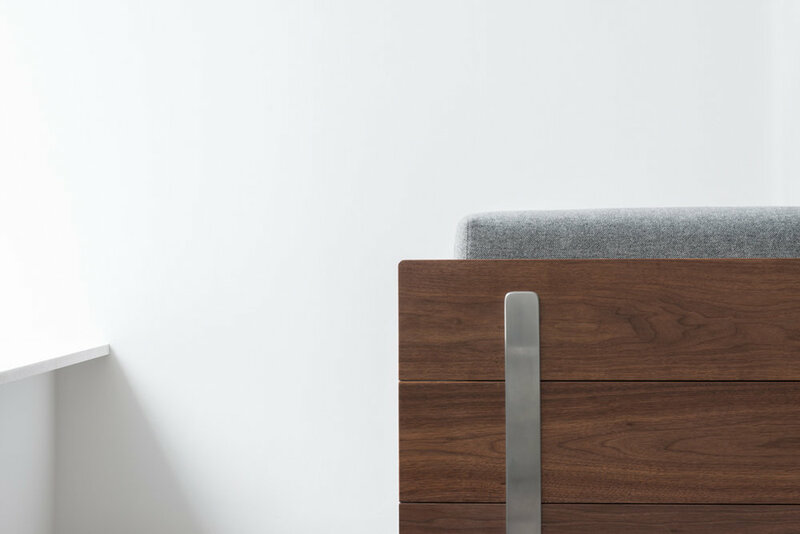 It is produced from American Black Walnut, detailed with blind dovetails pinned with maple pegs. 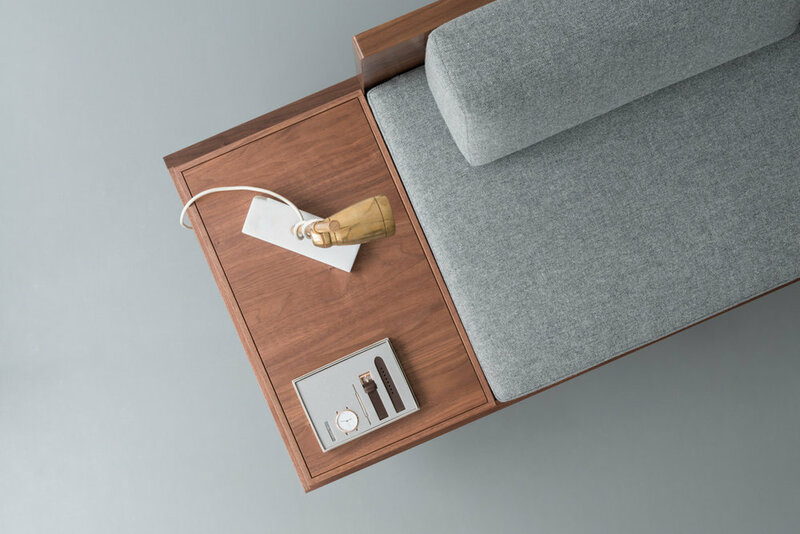 The magazine storage can be inverted to act as a display surface, or removed for use as a daybed. Image credits Zac & Zac.